Kim Hollis: Minions, the latest film to emerge from the Despicable Me franchise, debuted with $115.7 million. What do you think of this result? Ben Gruchow: The impression varies depending on whether we're looking at it in the context of a sequel or a spinoff. As a sequel, it's a very good result; the multiplier is a little on the low end, and the Friday-to-Saturday decline points to fan rush. Still, it would require a much heftier decline to avoid being the highest-grossing chapter of the whole “Despicable” franchise. 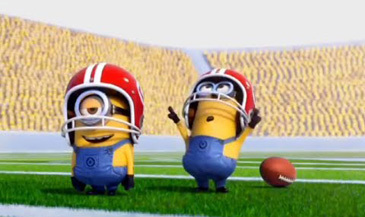 As a spinoff, this is phenomenal; Minions is the new benchmark for the practice, without question. At this point, I'm wondering when the people at Universal are going to schedule the installation of the gold statues and water fountains in all of the bathrooms.